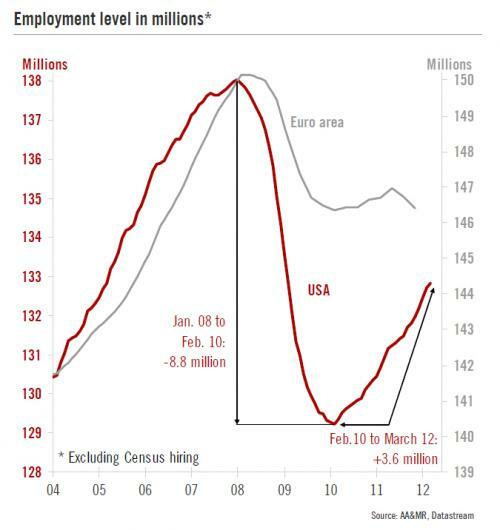 As you can see in this graph, before the Great Recession the total nominal employment was higher in the United States than in the Euro Zone. During the Great Recession U.S. employment declined more than twice the number of the Euro Zone. Unlike the U.S., the Euro Zone has not seen a recovery in the number of jobs. Since late 2011 the number of jobs are even declining again in the Euro Zone.